Tawfiq Saleh, one of the most important Egyptian filmmakers and one of the most important figures in the Egyptian 'realism' in cinema passed away on Sunday 18 August. 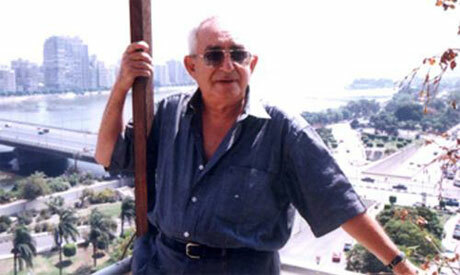 Born in 1926, Saleh worked on seven feature movies and seven shorts, all between 1955 and 1980. The large part of the body of his works look into social injustice, political abuse, class struggles, censorship and bureaucracy. He graduated from the English literature department of Alexandria University in 1949. When still in college, he directed a play: A Bullet in the Heart, hosted at the French Friendship organisation. He then received a year training in theatre and cinema in France. In Egypt he made Fool's Alley (1955), which was co-written with Nobel Prize winner Naguib Mahfouz. Their collaboration resulted in National Prize for Directing. Though at the time it did not receive acclaim from the public, the film remains one of the most important Egyptian movies of the '50s. Though many of his following works were acclaimed by the critics, they were constantly challenged by the censorship authority. His movie, The Rebels (Al-Mutamarridun, 1967), based on a story by journalist Salah Hafiz that tackles the shortcomings of the 1952 July Revolution, was banned in Egypt. In 1970, Saleh moved to Syria, then to Iraq where he taught at the Cinema Academy in Baghdad. In 1972, in Syria he released The Dupes (Al-Makhdu’un) produced by the Syrian National Film Organisation. The script is based on Men Under the Sun, a novel by Palestinian writer Ghassan Kanafani and sheds light on Palestinian Diaspora suffering at the hands of Arab regimes. The film is considered one of Saleh's finest works and a masterpiece of the Egyptian cinema. The Long Days (Al-Ayyam al-Tawila, 1980), a film that looks into the youth of Saddam Hussein, was produced by the Iraqi Theatre and Film Organisation. The movie was shot in Syria and Iraq and never made it to Egyptian cinema screens. Saleh returned to Egypt in the early 1980s. Saleh's movies represent an important part of Egyptian cinema history. They remain important reference points in studies of cinema realism and a reminder of the quality films which characterised Egypt's cinema in 1960s and 1970s. On 18 August, Tawfiq Saleh will be buried in Giza cemetery, where Naguib Mahfouz also lies.